This is my monthly meal prep favorite. 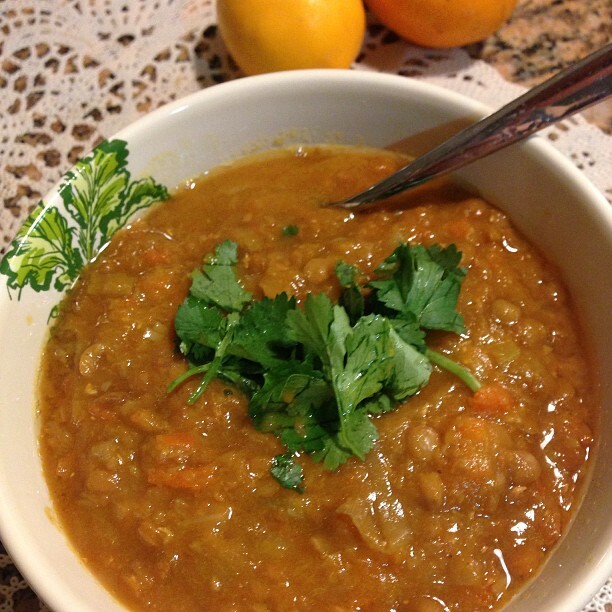 Lentil soup is hardy and filling, full of protein and vegetables, and stays well refrigerated or frozen for a meal that takes just minutes to reheat and serve. Rinse and chop all veggies into small/medium pieces around the same size. 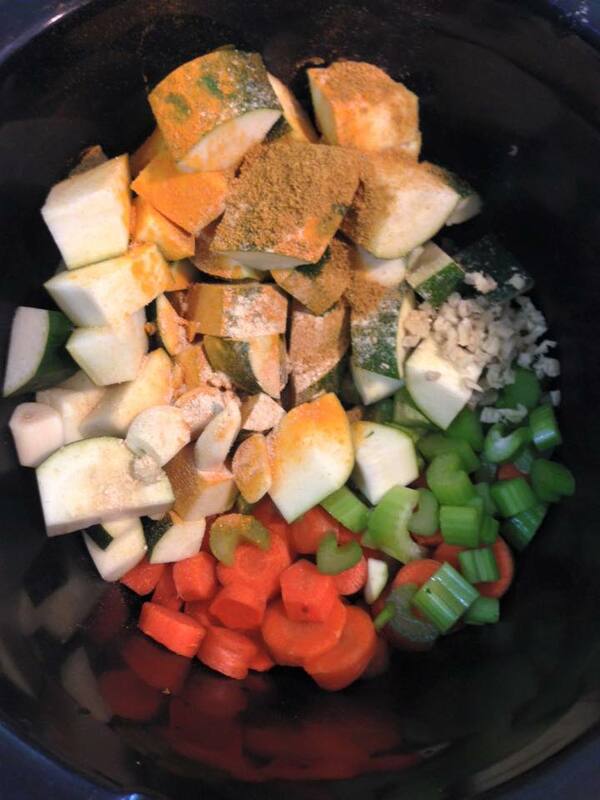 Layer celery on the bottom, then carrots and the rest of the veggies, then add spices and lentils.